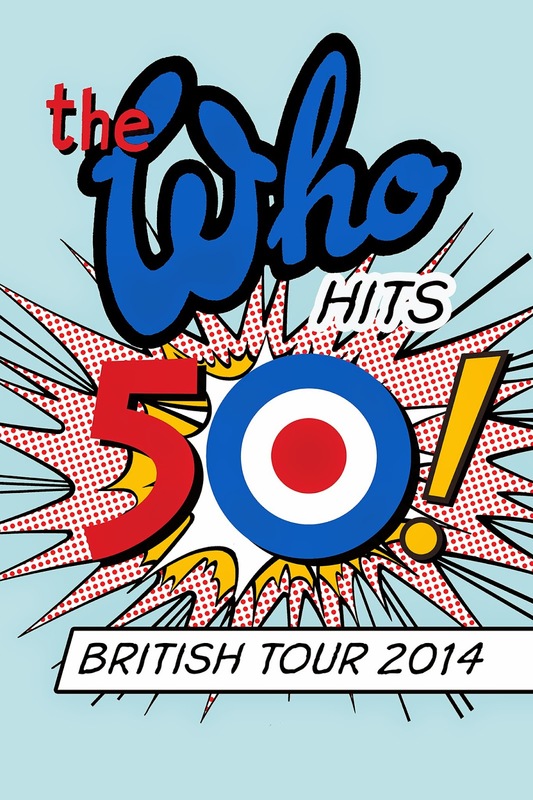 2014 sees THE WHO, one of rock’s legendary and defining bands celebrate 50 YEARS OF MAXIMUM R+B. On the tour announcement, ROGER DALTREY said, “This is the beginning of the long goodbye." PETE TOWNSHEND commented, “Trying to stay young. Not wearing socks. Growing a great big Woodcutter's beard. Might even wear a check shirt on stage and get a tattoo of a Union Jack. Always a fashion victim. But under no illusions. We are what we are, and extremely good at it, but we're lucky to be alive and still touring. If I had enough hairs to split I would say that for thirteen years since 1964 The Who didn't really exist, so we are really only thirty-seven". THE WHO have sold over 100 million records since forming in 1964, they brought together four different personalities and in effect produced a musical hurricane. Each of them was a pioneer. Wildman drummer Keith Moon beat his kit with a chaotic elegance; stoic bassist John Entwistle held down the centre with the melodic virtuosity of a solo guitarist; raging intellectual Pete Townshend punctuated the epic universality of his songs with the windmill slamming of his fingers across his guitar strings; and Roger Daltrey roared above it all with an impossibly virile macho swagger. They exploded conventional rhythm and blues structures, challenged pop music conventions, and redefined what was possible on stage, in the recording studio, and on vinyl. As they enter their 50th year the band is still going strong winning rave reviews for their performances of QUADROPHENIA in 2013.